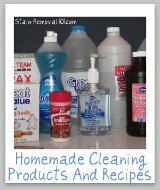 Here is a round up of antibacterial and disinfectant cleaners reviews for your home to find out which products work best and which should stay on the store shelf. This is where you can share your "Mom reviews" of these products, telling whether you would recommend various brands or varieties or not. In addition, if you are considering buying a new brand of product you can find out what other "Mom reviewers" and other people have said about it here. 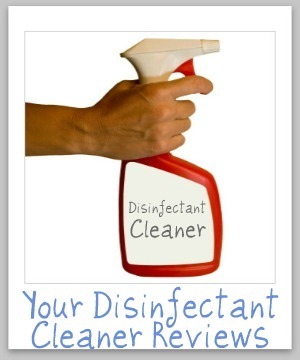 I recognize there is a difference between disinfecting products, and those which are merely antibacterial, but I am grouping them together on this page. I try to note below which type it is, in case you are searching for one instead of the other. 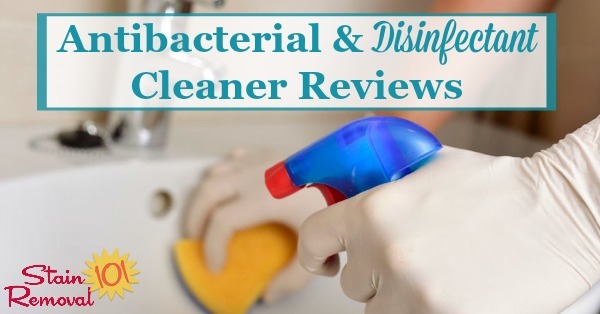 In addition, check out my article about why I don't think you should use antibacterial products (but why disinfecting, in certain situations and in certain places in your home is still an absolute necessity). Below are the reviews submitted so far. Please note that you can read or share reviews of antibacterial or disinfecting wipes here. 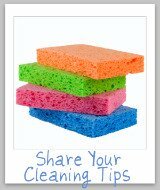 Sometimes, in certain circumstances, cleaning a surface may not be enough, but instead killing bacteria, or otherwise disinfecting it may be important. 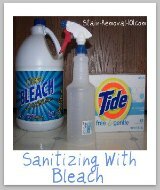 The two main rooms in our home we need to potentially use disinfectant cleaners in the most are the kitchen and the bathroom, which is why you see so many cleaners made for use in these two rooms with added ingredients for this purpose. 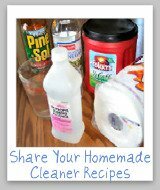 I will caution that we most likely disinfect too many things in our homes, too often, and really don't need to go on such a germ killing spree as we normally do, but there are times when it is a good thing, such as with food preparation, and to stop the spread of illness in our homes. 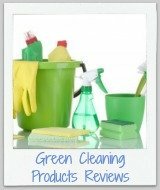 If you've used a product in your home with is either an antibacterial cleaner or disinfects while it cleans, you can skip down here to share your review now. 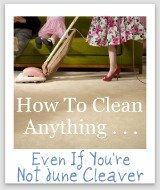 In addition, are you cleaning up because of sickness in your household? I've definitely been there, done that. 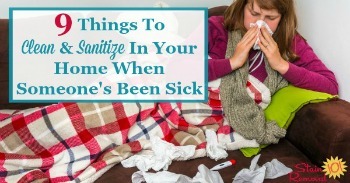 Check out these 9 things to clean and sanitize in your home when someone's been sick.